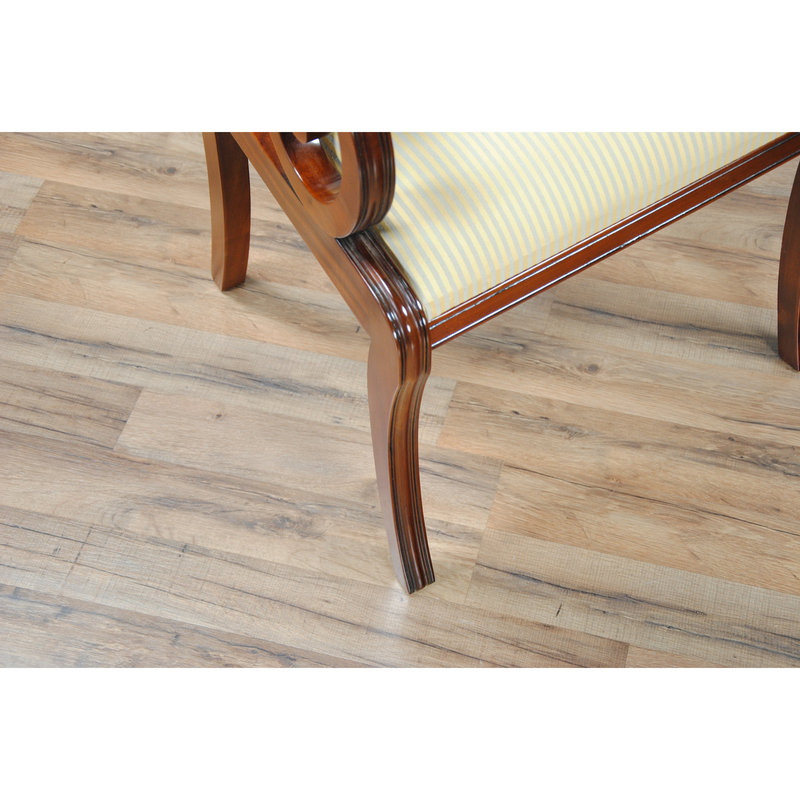 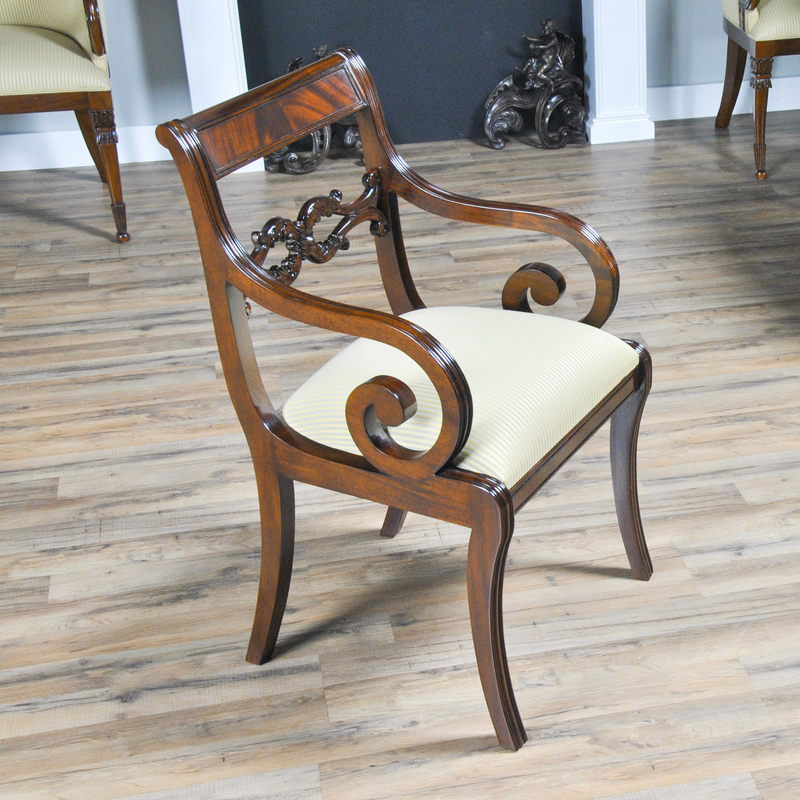 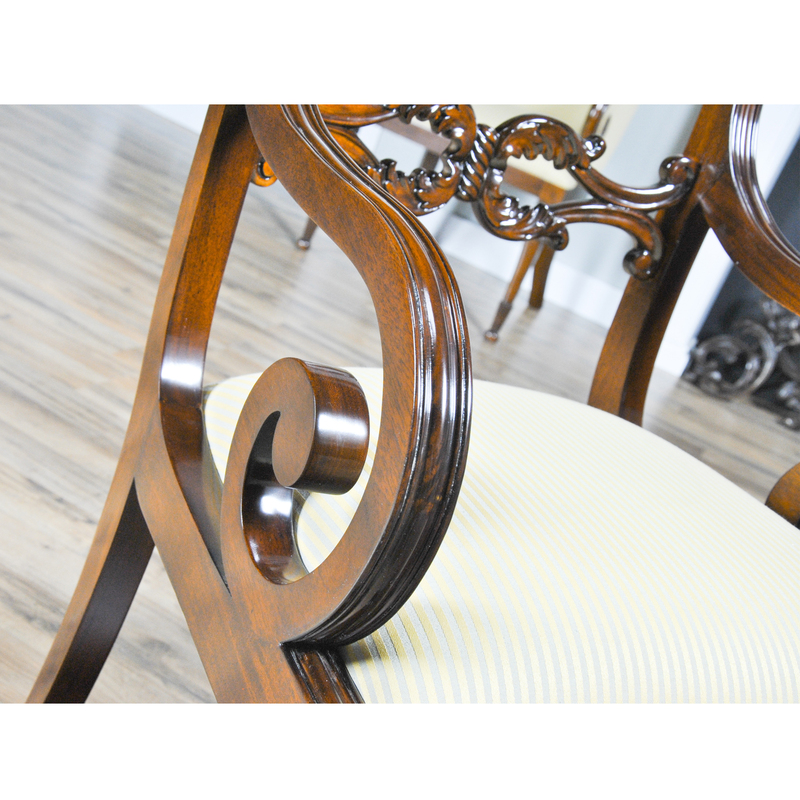 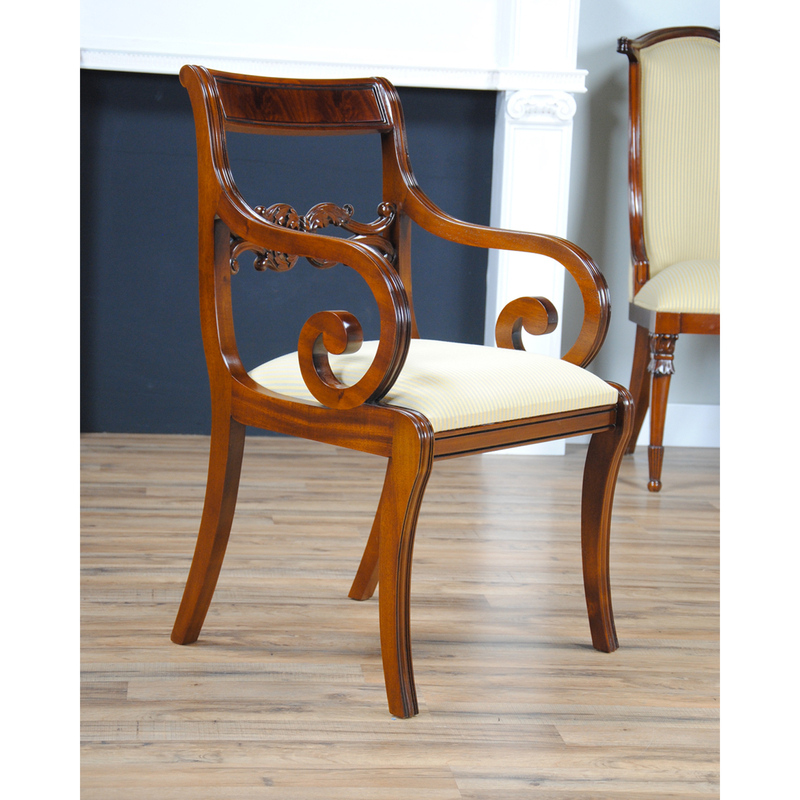 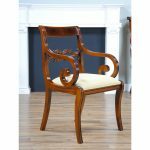 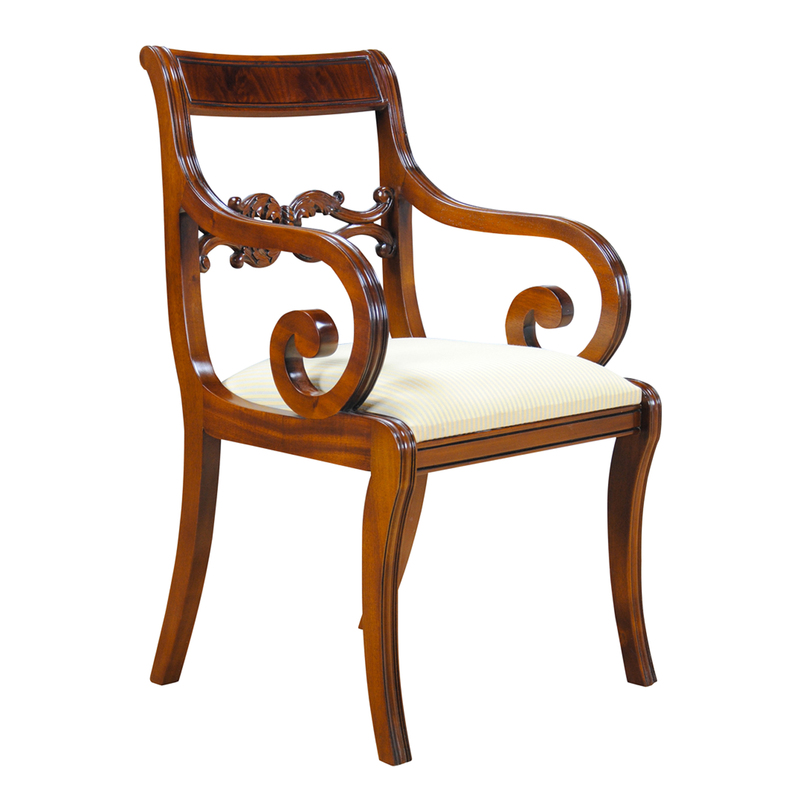 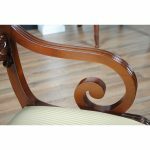 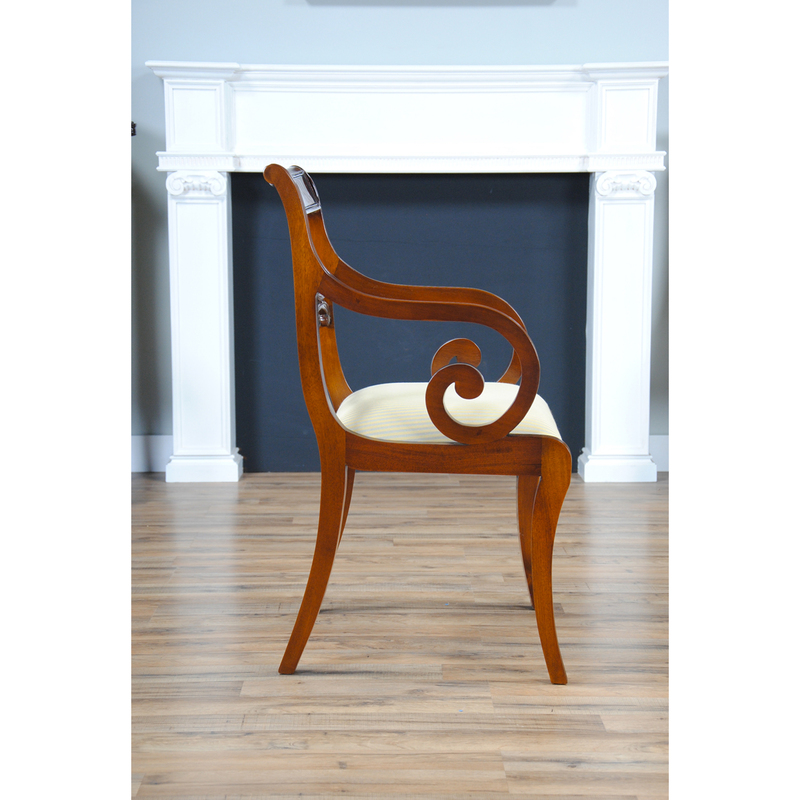 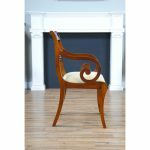 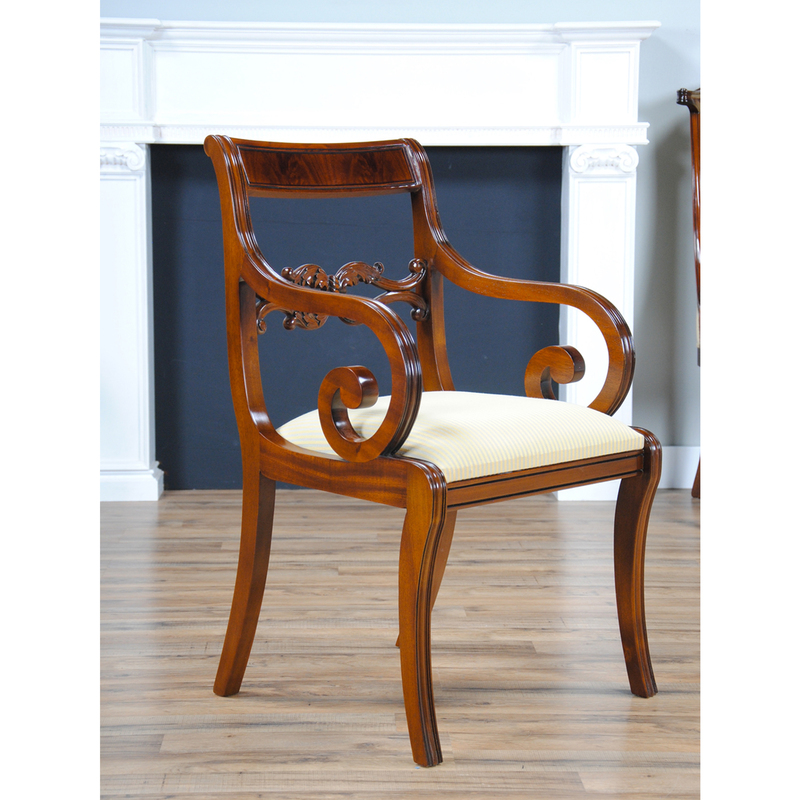 The Philadelphia Empire Arm Chair from NiagaraFurniture is a combination of the finest materials available. 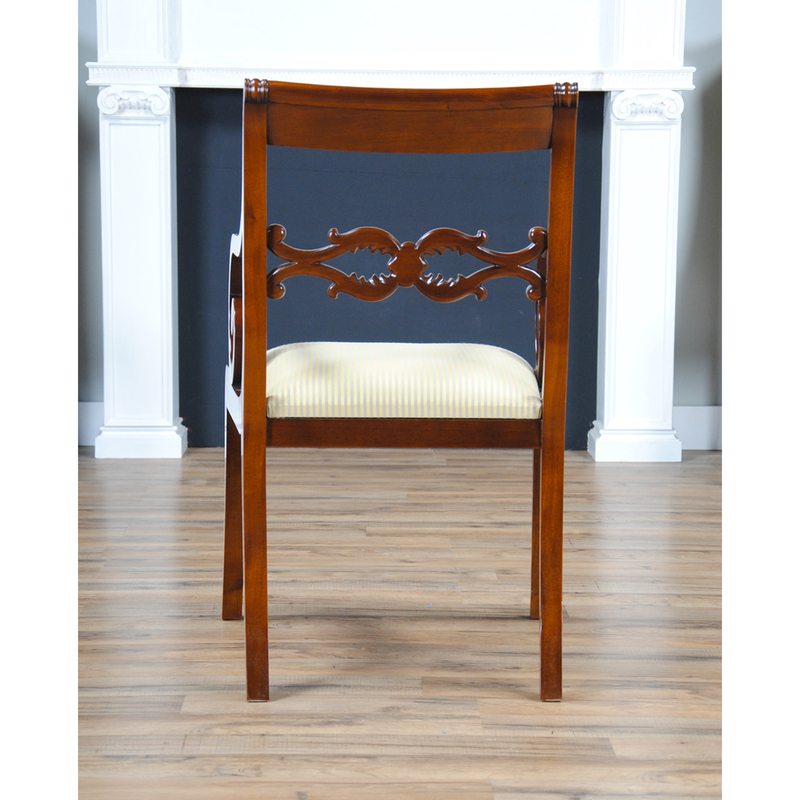 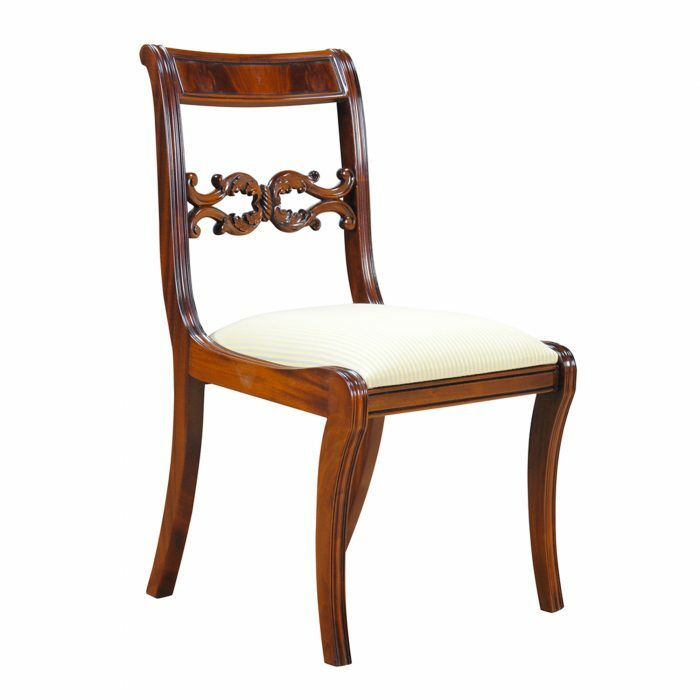 A solid mahogany frame, along with the finest veneers in the crest rail give this chair a deceptively simple air of elegance. 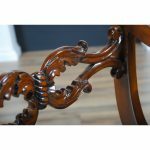 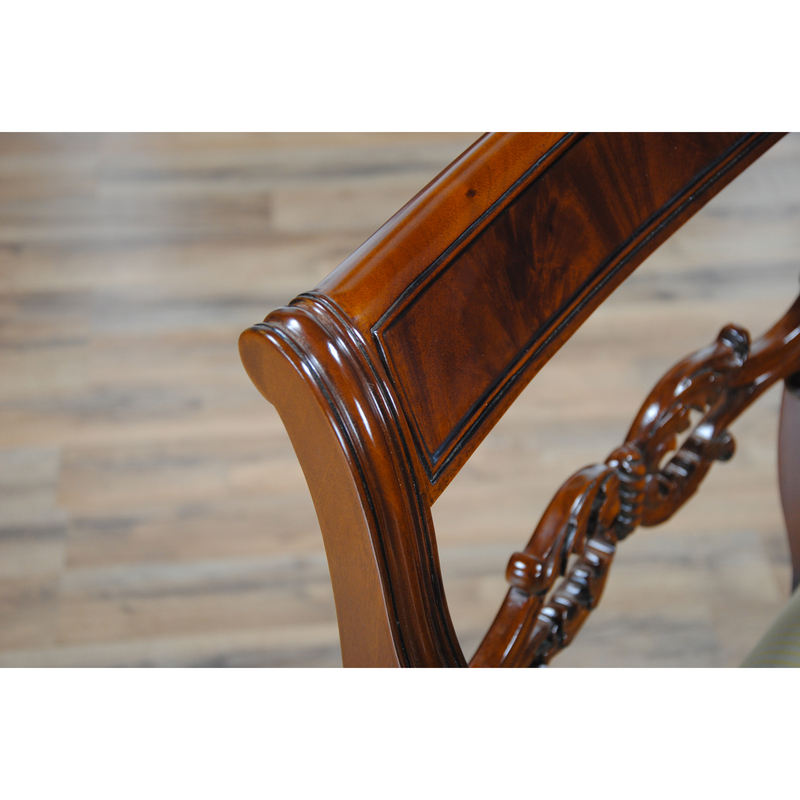 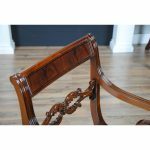 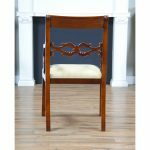 Straight reeding along the side rails, foliate carvings in the back splat all work together to produce a high quality piece of furniture suitable for the discerning home owner. 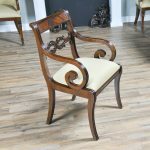 The Philadelphia Empire Arm Chair has a drop in seat which is held in place with four screws but can be easily removed to make custom fabric choices simple and fast.